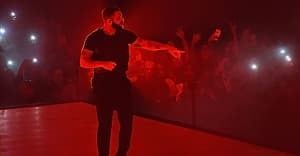 Drake and Tory Lanez, despite being two of Toronto's biggest musical stars, have never collaborated with one another. The pair have, instead, spent the past two years appearing to address one another subliminally on their own songs. Many suspected that Drake's line, "All you boys in the new Toronto want to be me a little," could have been aimed Lanez for example. What was always more of a rivalry than a beef was put aside overnight though, with Drake and Lanez posing together for pictures that ended up on both of their respective social media accounts. “Toronto,” Lanez tweeted alongside the photo alongside Drake. “The city needs more of this and less of that," Drake wrote in his caption on Instagram. Check out the pictures and revisit the brief history of Drake and Lanez's tangled history.